AHSEC 12th Class Result 2018 , Assam HS Results 2018 Declared at ahsec.nic.in: Well, all the students who are waiting for the AHSEC 12th class result can get it from the official website of the board as soon as they are going to release it. Some reports are saying that the board is all set to launch their 12th class result on this 31st May 2018 on the official website which is ahsec.nic.in or resultsassam.nic.in. You all are going to get the result from the official website as soon as it released by the board. Below, we are going to talk about instructions which will help you in getting your result. 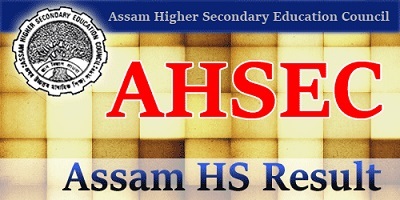 The Assam Higher Secondary Education Council (AHSEC) is going to launch their result soon. Also, we already told you that how you all can download the result from the official website without wasting any second. AHSEC secretary Kamal Gogoi told the media that the Assam board will declare the results on 31 May at 11 am through a press conference. Also, the students who were appeared in the official exams this year are going to get their result from the website mentioned above. Also, the students will able to get the marksheets from the school same day. Reports are coming that after other boards result deceleration the board is all set to launch the result on the official website of the board. You will know everything below if you are looking for the way to get your result from the official website. No, you need to click on “Class 12th exam results” link. After that fill the required details and click on the ‘submit’ button. Now wait for the loading and download your result. Well, you all may already know that the AHSEC examination was conducted from 23 February to 22 March across the 850 Centres in Assam. As has been observed over the course of the past few weeks, the dates and times of result announcements have been frequently changed around.